Sixty years ago, Canadian Physicist Bertram Brockhouse pioneered inelastic neutron scattering. His invention, the triple axis spectrometer, enabled direct measurements of phonons, magnons, and other collective elementary excitations in materials. 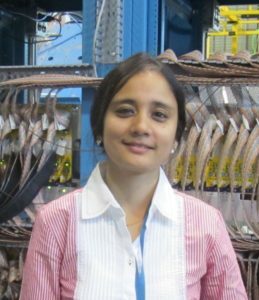 In more recent times the practice of inelastic neutron scattering has been revolutionized by pulsed neutron time-of-flight spectroscopy, enabled in part by the vast increase in available computational power. This has allowed detailed investigations of exotic phenomena including fractionalized magnetic excitations. This talk will begin by surveying some relevant developments in neutron instrumentation, primarily at the accelerator-based Spallation Neutron Source at Oak Ridge. The focus will then shift to the physics of quantum magnets and fractionalized excitations, showing how these are probed by neutron scattering. Next will be a look at the exactly solvable model on a honeycomb lattice proposed by Alexei Kitaev, that exhibits a quantum spin liquid ground state. The talk will conclude with an examination of recent experiments on materials that exhibit mutually competing interactions like those postulated by Kitaev, showing evidence for fractional excitations associated with his eponymous quantum spin liquid. 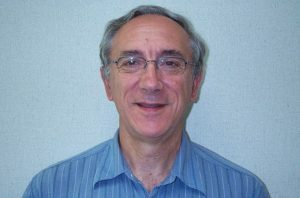 Stephen Nagler is a Corporate Research Fellow of the Oak Ridge National Laboratory and a faculty member of the University of Tennessee, Knoxville, affiliated with the Bredesen Center for Interdisciplinary Research and Education. His primary research interest is in condensed matter physics, especially quantum materials. 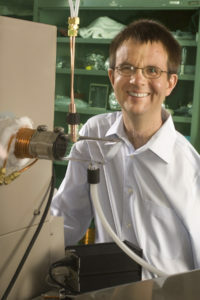 He has applied x-ray and neutron scattering to investigate problems such as phase transitions, non-equilibrium phenomena, and new states of matter and their excitations. 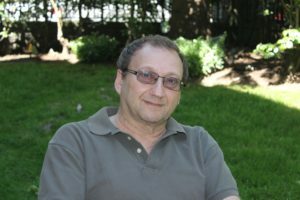 Nagler received his Ph.D. in Physics from the University of Toronto in 1982 and moved that year to the IBM Thomas J. Watson Research Center in Yorktown Heights, NY. In 1984 he joined the faculty of the University of Florida, where he served as a Professor of Physics until moving to ORNL in 1995. 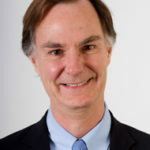 He is an alumnus of the editorial board of the journal Physical Review Letters and currently serves on the executive committee of the American Physical Society Division of Condensed Matter Physics. 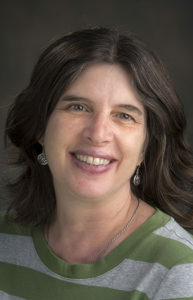 Nagler has been a Visiting Professor at the Clarendon Laboratory, University of Oxford, UK, the Weizmann Institute of Science, Israel, and Risø Laboratory in Denmark. He is a Fellow of the American Physical Society, the American Association for the Advancement of Science and the Neutron Scattering Society of America. 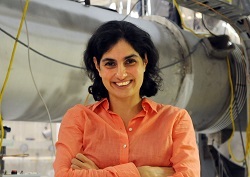 Prof. Nergis Mavalvala and Prof. Edmund Bertschinger from the Massachusetts Institute of Technology will be sharing their views and experiences as they relate to EDI in physics during this plenary session organized by the CAP’s newly-formed Committee on Equity, Diversity and Inclusion. Creative, collaborative effort to advance a respectful and caring community can make a big difference to students, staff and faculty in physics departments, improving their ability to thrive. Data on demography and the climate for inclusion at MIT show the effects of inclusive leadership based on community, culture and values. This short talk will provide both data and tips on how you can strengthen your department for everyone. Prof. Nergis Mavalvala is also the Herzberg Public Speaker for the CAP’s 2018 Congress. Her biography is included in the Herzberg speaker section above. Professor Bertschinger received his BS in physics from Caltech in 1979 and his PhD in Astrophysical Sciences from Princeton University in 1984. Following postdoctoral positions at the University of Virginia and at UC Berkeley, he joined the MIT faculty in 1986. From 2002-2007 he served as Astrophysics Division Head before becoming Physics Department Head. He is a recipient of the Guggenheim Fellowship, Alfred P. Sloan Research Fellowship, and Helen B. Warner Prize of the American Astronomical Society. As Physics Department Head from 2007-2013, Ed Bertschinger set a goal to make MIT not only the top-ranked university for science and engineering, but also to make it one of the best places to work and study for everyone. He feels strongly that more must be done to increase diversity and inclusion within the university and the profession. He is co-chair of both the MIT Committee on Race and Diversity and the Faculty Advisory Committee of the Office of Minority Education and is recipient of the Dr. Martin Luther King, Jr. Leadership Award. In 2011 he chaired the organizing committee of the MIT150 Symposium “Leaders in Science and Engineering: The Women of MIT”. During my thirteen years of teaching undergraduate physics at Simon Fraser University the course I have taught the most often is the second course in our two-course introductory sequence for life science students. This course presents unique challenges for a variety of reasons. First, it is a lecture format course with a large enrollment, typically 150-250 students. Second, the primary reason students take this course is because it is required for their major, not because of an inherent interest in the material. There are many additional challenges including some students’ weak math skills and their busy schedules. Over the years I have introduced a variety of new, research-based teaching methods in the hopes of improving not only these students’ understanding of physics, but also their appreciation of the field. In this talk I will discuss some of the changes I have made to this course and the impact these changes have had. These include everything from strategies to make class time more interactive to extra-curricular programs that provide academic support. The majority of the students who take this class will eventually work in medicine or a life science-related industry where a good working knowledge of physics should prove invaluable. *And pharmacists, physical therapists and a few physicists. Colloids are small particles with diameters that lie within the nanoscopic and microscopic domains. Recently, research has focused on deformable or soft colloidal particles, such as microgels and star polymers, which show fascinating behaviour such as jamming and glass formation in dense dispersions. 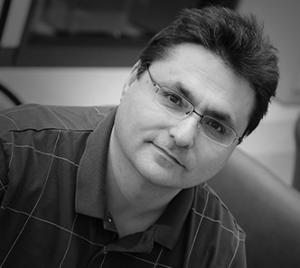 I will describe our journey from our initial serendipitous discovery of a new type of soft colloidal particle, phytoglycogen, which is produced in the form of highly branched, monodisperse nanoparticles in sweet corn to our detailed analysis of their structure, hydration and soft mechanical properties to the commercialization of this natural, sustainable nanotechnology in our Guelph-based spinoff company Mirexus. We think that black holes are ordinary quantum systems with a finite number of microstates, when we view them from the outside. A pair of black holes can then be entangled with each other. A special entangled state of this kind can be described by a geometry similar to the maximally extended Schwarzschild black hole. This geometry is a non-traversable wormhole. We will discuss how to make the wormhole traversable, viewing the process as an example of quantum teleportation. Juan Maldacena is a professor at the Institute for Advanced Studies in Princeton, NJ. He works on quantum field theory, quantum gravity and string theory. He is particularly known for proposing a duality between quantum field theory and gravity, which relates gauge fields, strings and quantum gravity. Maldacena was born in Buenos Aires, Argentina, in 1968. He graduated from the Instituto Balseiro in Argentina in 1991 and then received a doctorate from Princeton University in 1996. He was a professor at Harvard before joining the Institute in 2001. Maldacena is mainly interested in the development of a theory of quantum gravity. He has investigated the properties of black holes using string theory, which is the leading candidate for a theory of quantum gravity. He has studied various aspects of the gauge/gravity duality, both from the gravity and the field theory point of view. 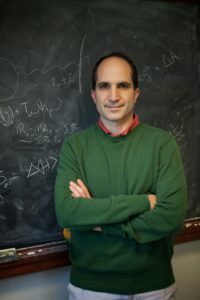 He has worked on trying to understand more precisely the connection between strings and quantum fields. He has also studied the application of string theory ideas to cosmology. After briefly tracing the history of my involvement in weak interactions studies at TRIUMF, I will present the prospect for future major advances and opportunities which are available to the younger generation of Canadian physicists. Throughout this talk, neutrinos will take a special role as a unique but elusive tool which has and will continue to shed critical information of the working of our Universe. I will point out the reward for working in strong partnership and with dedicated colleagues worldwide as a way to advance fundamental knowledge and to contribute to a better society. Over the last decade, machine learning (ML) methods have become increasingly important in medical imaging. In addition to more traditional classification tasks, ML is now being used in many other applications including object search and segmentation, image registration and even image reconstruction. Recent advances in deep learning have accelerated this trend and it is now possible to achieve human level performance in several diagnostic tasks where large databases of labelled images are available. This talk will provide an overview of this rapidly changing field and will describe how convolutional neural networks can be used for classification and segmentation in radiology and digital pathology. The challenges associated with translating deep learning applications into clinical practice will also be explored. Dr. Martel received a BSc in Physics from King’s College, University of London, UK in 1987 and a PhD in Medical Physics from University of Sheffield, UK in 1992. She spent 11 years as a Clinical Medical Physicist in the UK before moving to Canada in 2003. 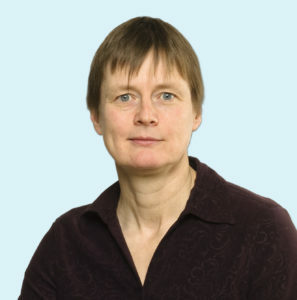 She is currently a Senior Scientist at Sunnybrook Research Institute and an Associate Professor in the department of Medical Biophysics, University of Toronto. Her research is focused on medical image analysis, particularly on applications of machine learning for segmentation, classification and quantification. As well as a longstanding interest in the creation of computer aided detection and diagnosis tools for radiologists, Dr Martel is currently working to develop prognostic models for breast cancer based on digital pathology images. She is the co-founder and Chief Scientific Officer of Pathcore, a software company which specializes in building tools to analyze and manage digital pathology slide images. 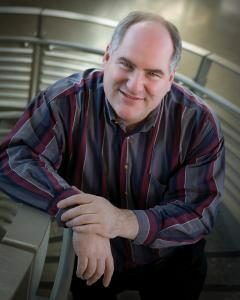 Dr Martel is an active member of the medical image analysis community and is currently a board member of the MICCAI Society which represents engineers and computer scientists working in medical image analysis and image guided interventions. The university-industry collaboration remains a rather complex process due to the natural divergence of interests and methods (used by those two entities) that are often difficult to reconcile. In the present talk I will describe several (past and currently on-going) projects of fundamental research and applied development performed by my team. This will include short description of research efforts devoted to understand fundamental mechanisms governing material properties (such as diffusion of chiral molecules) as well as the influence of light on the behavior of living organisms (bacteria, insect and humans). I will also briefly describe several on-going development projects that have more applied character (such as fiber thermometer, super resolution micro endoscope, etc.). Then I will “focus” on the case of the development of electrically variable liquid crystal lenses. I will describe the corresponding phase of the fundamental research, conducted on those lenses, followed by the description of their development phase and finally I will also describe the phase of the transfer of this technology to the industry and potential future applications. I hope that this presentation will initiate fruitful discussions that might help to find ways to support industrial collaborations without compromising the fundamental role of the university. Our Universe has a wide variety of visible matter at the heart of which lie various nuclear isotopes embodying nature’s beauty of synthesizing the building blocks, protons and neutrons, into complex objects with different characteristics. Rare isotopes with large asymmetry of protons and neutrons bring to our laboratories the scope to explore nuclei and hence matter created in neutron-rich environments of our Universe. These short-lived rare isotopes can be studied at selected accelerator facilities having specialized capability of producing and energizing them, termed as radioactive ion (RI) beams, among which TRIUMF in Canada is a premier world-class centre. The presentation will outline how RI beams are allowing us to uncover the unknown properties of rare isotopes and leading to revelation of unconventional forms of nuclei such as, nuclear halo and skin, their exotic excitation phenomena, and fundamental changes of nuclear shells that break the bounds of our traditional knowledge. These unexpected features observed in the rare isotopes challenge our understanding of the force of nature binding protons and neutrons to form the variety of nuclei. Addressing this fundamental question has been a century long challenge in which rare isotopes bring in a new dimension amplifying the neutron-proton asymmetric features of the force. The presentation will show how experimental studies of static and dynamic observables of rare isotopes can illuminate on variations from different prescriptions attempting to describe the nuclear force. How can you learn about the early moments of the universe? How can you discover evidence for new sub-atomic particles? We usually think of ever-more exotic telescopes, or of ever-larger particle accelerators. I will talk about the third leg of the stool: precision measurement. We will see that the humble two-atom molecule should be thought of as an ultrahigh-electric-field laboratory. Eric Cornell received his B.S. from Stanford University in 1985, and his PhD from MIT in 1990. His doctoral research, with Dave Pritchard, was on precision mass spectroscopy of single trapped molecular ions. Cornell went to JILA in Boulder, Colorado in 1990. Since 1992 he has been a senior scientist with the National Institute of Standards and Technology.He is a Fellow of JILA and Professor Adjoint in the Physics Department of the University of Colorado. Cornell received the Stratton Award from NIST in 1995, the Carl Zeiss Award in 1996, the Fritz London Prize in 1996, the Presidential Early Career Award for Scientists and Engineers in 1996, the 1997 I.I. Rabi Award, the 1997 King Faisal International Prize for Science, the 1995-96 AAAS Newcomb-Cleveland Prize, the 1997 Alan T. Waterman Award, the Lorentz Medal in 1998, in 1999 the R. W. Wood Prize and the Benjamin Franklin Medal in Physics, and in 2000 was elected as a Fellow of the Optical Society of America and a Member of the National Academy of Sciences. In 2005, he was elected Fellow of the American Academy of Arts and Sciences, and in 2012 he was awarded the Ioannes Marcus Marci Medal for Molecular Spectroscopy. He shares the 2001 Nobel Prize in Physics with Carl Wieman and Wolfgang Ketterle.